Our Sunsail yacht owners use their "owner time" to sail the world's best cruising grounds. We're pleased to announce that Sunsail 36 owners Nancy Kaull and Paul Jacobs have published a book about their experiences both buying a boat in the Sunsail ownership program and sailing in 10 destinations around the world, from the BVI to Croatia, Greece, French Polynesia and more. Nancy kept careful journal entries on all of the trips that spanned the last five years; Paul has weaved together excerpts from those journals with his own commentary and Nancy's photos to create Voyages: Stories of Ten Sunsail Owner Cruises. In Voyages, Paul Jacobs takes us through his discovery of a passion for sailing, the joys of meeting and falling in love with Nancy Kaull, and the couples’ experience together cruising on 36’ sailboats in exotic locations all around the world with the Sunsail owners program. Paul describes the cruises with a scientist’s precision, a sense of humor, and a humble perspective that will engage sailors and non-sailors alike. Nancy contributes a second perspective with detailed journal entries interspersed throughout the book. Together, the couple provides a story that’s a successful fusion of a manual for travel to and bareboat sailing at numerous geographic locations, and a personal memoir, all in an interesting, informative, and inspiring work. 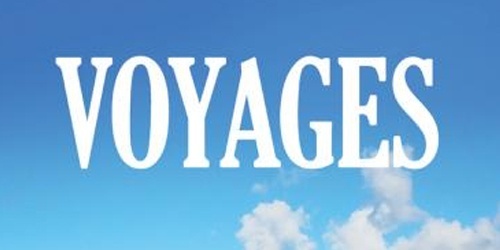 Voyages is available now as an ebook($4.99) or in print ($10). Purchase from the authors at the links below. Daniela is a digital project manager for our yacht sales websites. 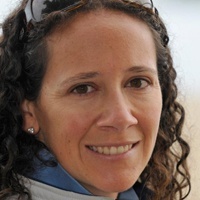 She's been in the sailing industry since her first job as a junior sailing instructor in 1996.